Built in 1425 and restored in 1997. 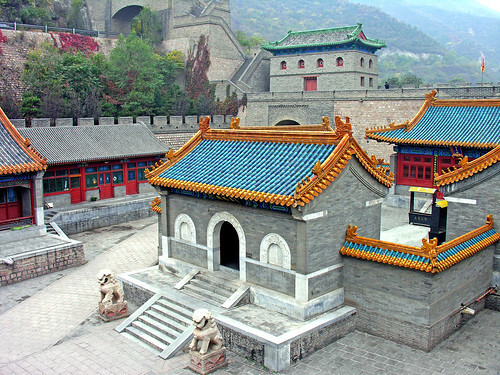 According to legend General Xu Da was often assisted by the God of Zen Wu during his northern expedition at the beginning of the Ming Dynasty (1368-1644) and so he built a temple inside the pass. Inside the temple are figures of the Taoist God of Zhen Wu, eight immortals, six duty goddesses and six duty gods, Gods of Water and Fire, The figures of Ching-Lung (Green Dragon) and Bai Hu (White Tiger).